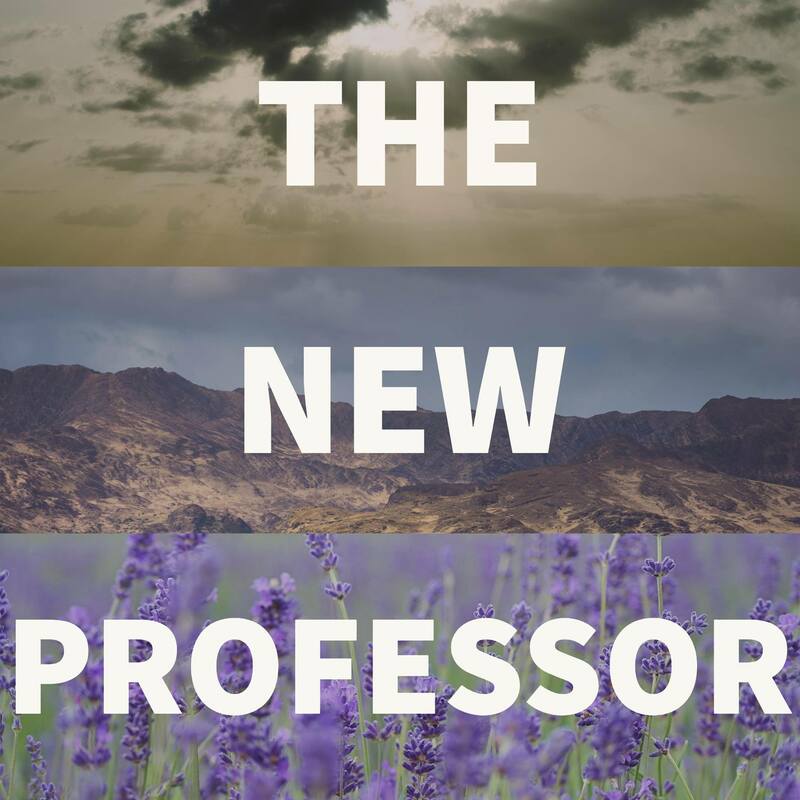 In episode 22 of The New Professor, congratulates today’s graduates and tries to convince you attending Commencement is worth it in this season two finale. That’s it! The 2017-18 school year is in the bag. Hard to believe it’s another one down. So, aside from grading and making summer plans and last-minute administration, there’s the one big thing that goes on right about now. The event the entire last four-or-however-many years have been leading up to. The event that forces you to take time off during the work week, wear funny clothes, listen to people talk at you, and attempt to ignore the obligatory screaming babies. That’s right: it’s the final episode in season 2 of this little project, which means… it’s GRADUATION SEASON! If you’re a UA South student and listening to this on the day it’s released, congratulations! It’s Commencement day! (If you’re listening to it afterwards, I’m not sure why, but thank you, anyway.) I’ll be there, as I always am, to watch my students receive recognition for all they’ve accomplished during their time with me and the rest of the University of Arizona. This year will be a little different as I’m a Marshal, which is like a fancy word for Usher. It will be my responsibility (along with a colleague) to lead students in, around, and out throughout the ceremony. I’ve never done it before and I’m not gonna lie, I’m a little nervous. Oh, well. The UA South commencement is a pretty laid-back affair, so it should be fine. At the risk of stepping on the toes of some of the speakers at graduation this year, I just wanted to briefly talk about commencement both as an accomplishment and a ceremony. I know a lot of folks, both classmates of mine when I was in school and my own current and past students, that brush off commencement for.. various reasons. I’m not interested in arguing whether attending commencement is something everyone should do, but I’m going to, anyway. Why? Well, you put all that work in! Getting a degree isn’t easy and this is the only time someone else outside your family will voluntarily read your name to a crowd and congratulate you on your work. This is an event that will not repeat itself, it’s an event that you can only participate in right now. It may not seem important at the time but it’s entirely possible your absence today may turn into regret down the line. Now, if you have friends and family that are willing or able to come, then you should absolutely go. I often think commencement isn’t really about you, the graduate. You’ve done the work. You’re the one getting the degree. For you, this is been-there-done-that, and often you might want to just be done with anything school-related and start that shiny new job. But, you need to think about the people in your life that have supported you and, let’s face it, sacrificed for and put-up with you during your education. This event, watching you walk across the stage in all that pomp and circumstance, that’s for them. Your loved ones will thank you for it, I promise. If they seem annoyed that they have to be there… well, I dunno what to tell you. Some people value furthering education more than others. I often think of commencement as a change in the punctuation of your education: it started off “Got a degree?” with a question mark, and the flipping of the tassel turns that question mark into an exclamation point: “Got a degree!” And sure, it’s just a piece of paper, but it symbolizes everything you’ve done, all you know, and how much you’ve grown over the past however many years. And… that’s huge. Think back to the person you were when you started your undergraduate degree and compare it to the person you’ve become at its completion. That is important. Did you know holding a Bachelor’s degree makes you 14% more likely simply to be employed compared to having a high school diploma? That’s generally speaking. For women, it’s 22%. That’s just simple employment. If we’re talking lifetime earnings, to quote the Social Security Administration, men with bachelor’s degrees earn approximately $900,000 more in median lifetime earnings than high school graduates. Women with Bachelor’s degrees earn $630,000 more. Bump that up to a graduate degree and it becomes $1.5 million and $1.1 million, respectively. Beyond the skills you develop, beyond learning for the sake of learning, beyond wanting to make a better life for you and your family, graduating nets you some serious dough. Just another reason to walk. So congratulations, again, graduates. I… we…. are proud of you. And that’s a wrap on this season of The New Professor! It will return in August so watch on Twitter for the announcement of the schedule. I hope you’ve enjoyed listening to this minor change in format and hope you enjoy the changes to come. And don’t forget that I’ll still be putting out the Read, Watch, Woof newsletter over the summer, the link to which can be found in the shownotes. Okay, let’s put a fork in it. See you next time!